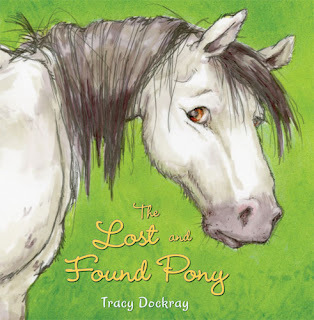 Here's this month's horse and pony book releases. 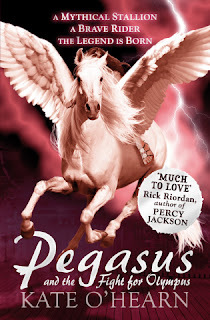 I’m looking forward to the next episode in this Greek gods meet modern day America saga, having enjoyed the first book, Pegasus and the Flame, very much. At the end of the first volume, Olympus had been saved, though surely only temporarily as the Nirads were still very much alive and well. Jenny Oldfield’s latest series is out this month. As far as I can see,two titles are released this month: Red Star and Wildflower. It’s another series set in America, on a ranch, a formula which has been extremely successful for Jenny Oldfield before. Feiwell & Friends, £10.49. Tracy Dockray, who has illustrated books by Beverly Cleary, has her own book out at the end of July. The cover certainly looks promising. Out on 7 July, it’s episode 14 in Pippa’s series, which shows no sign of slowing down. The Phantom Horse series has gone through a fair few printings, most recently by Award,who have commissioned another edition, with covers by Jennifer Bell, probably best known for her illustrations for Stabenefeldt, as well as her lovely book for J A Allen, The Allen Book of Drawing and Painting Horses. Two of the original titles in the Phantom Horse series have been changed: Phantom Horse Goes to Ireland and Phantom Horse Goes to Scotland are now Phantom Horse Disappears and Phantom Horse Island Mystery. 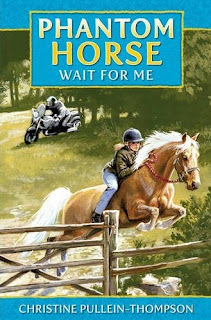 I think the last title has been changed: to me it reads "Phantom Horse Wait For Me", rather than "Wait For Me Phantom Horse". 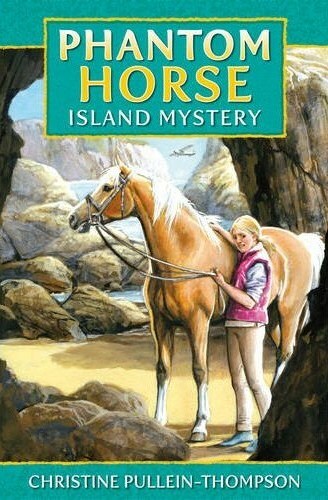 Looking forward to the new Kate o'Hearn. - can't help wondering if they have been abridged/altered for a more modern market? Have you heard if this is the case? 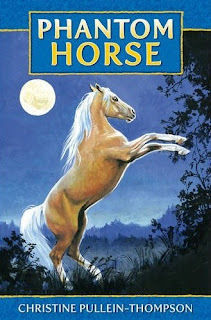 I hadn't realised before but Award are the publishers of the Black pony Inn series that has been around a few years in hardback 3 in 1's - wonder if they are predicting a return of the more traditional (and British written) pony book with catnips Jinny's doing so well and the Stabenefeldt books being well recieved in Europe/America. I do like the new covers too! That is a fair point Haffyfan. 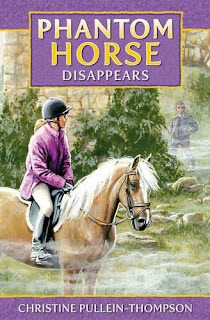 In Wait For Me Phantom Horse, Rachel says something like "have you got no radio" when in the 1980s (when this was first published) there was older cars around which didnt have radios installed. These days, unless you have a vintage car (say from the 1920s) all cars have at least an radio. It would make sense to change it so that the radio is out of order. Also according to your link Haffyfan, I was right, "Wait For Me Phantom Horse" has been changed to "Phantom Horse Wait For Me". Just wondering whether she had him gelded? He was a stallion in the first book, but surely she couldn't have kept him so. Any ideas? The cover art is an improvement on the older series. I just KNOW I've seen it before and it is driving me mad!! Haffy - I don't know if the text has been altered but I will try and find out. PTA - good point. I hadn't noticed they'd changed Wait for Me Phantom Horse. I think I prefer the change. Fiona - I don't remember anything ever being mentioned about PH being gelded, but surely she must have done, as I can't think she'd have lugged him round the country as much as she did if he were still entire! Mokey - I've had a look at that image and I know exactly what you mean, but I'm afraid I can't think of where the pic might have come from either! 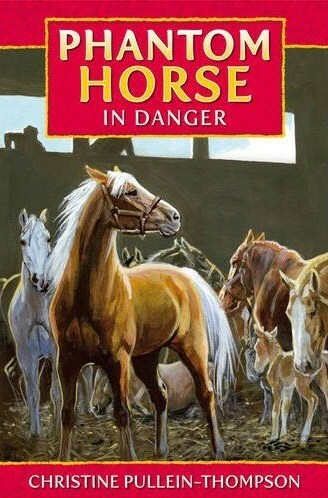 I wonder if it's based on another book? Oooh - that first Phantom Horse - I''m sure the pic is in one of my Encyclopedia of the Horse kind of books - I swear there's a mexican guy actually riding him - must - find - book - driving - me - mad!! !